Professional Parts Sweden (often referred to as Proparts) is an expert on SAAB & Volvo merging quality with excellent value. We proudly offer a 1 year warranty on all Proparts Sweden products, getting your car back on the road and keeping it there at a great price. eEuroparts.com® carries thousands of Proparts parts in our catalog, ranging from exhaust system and power steering parts to suspension and a/c compressors. Proparts also builds parts for transmissions, engines, windshield washers, electrical systems, trim, brakes, and turbochargers. Some Proparts products are even contracted directly by SAAB and Volvo for use as original equipment replacement within their dealer networks. Proparts originated in Stockholm, Sweden, but now has offices in the United States and Taipei, Taiwan. 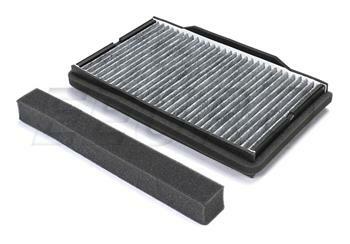 They manufacture quality aftermarket parts and represent some of the best value parts eEuroparts.com® carries. We love them for their cost savings, and customers do as well. If your car is more than five years old and out of warranty, buying aftermarket brands is a great way to save money. With Proparts, you can be sure you're getting excellent value and a great product. 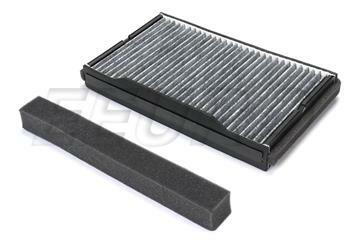 If this is not the exact Cabin Air Filter (Activated Charcoal) you are looking for, or you would like this part in a brand other than Proparts, please contact us and one of our customer service experts will help you locate the exact part you need.